Rinse the shells under cold water for a second. Pour the milk into a saucepan. Add the shells and butter. Bring to a medium heat, but not a boil, stirring the entire time. 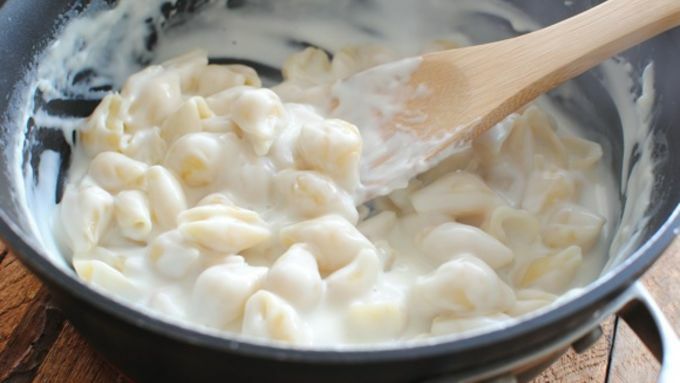 When you reach a medium heat, lower the heat and continue to stir until the milk has thickened and the shells have absorbed most of the liquid and are al dente. Add the taco seasoning and shredded cheese. Stir to melt the cheese and combine. Taste and add a pinch of salt if needed. Garnish with chopped cilantro and serve immediately! If you squint your eyes just right, you can see baby cherubs floating in this. You guys. Y'all. Yew'ins. You. I need to show you something. And then I need to lie down. And then I need to talk about it some more because I can't even take it. And then I need to rest again. And then I need to seriously get it off my chest because it's almost too much to bear. And then it's nap time. And then I need to - whoa. Ow. Okay. 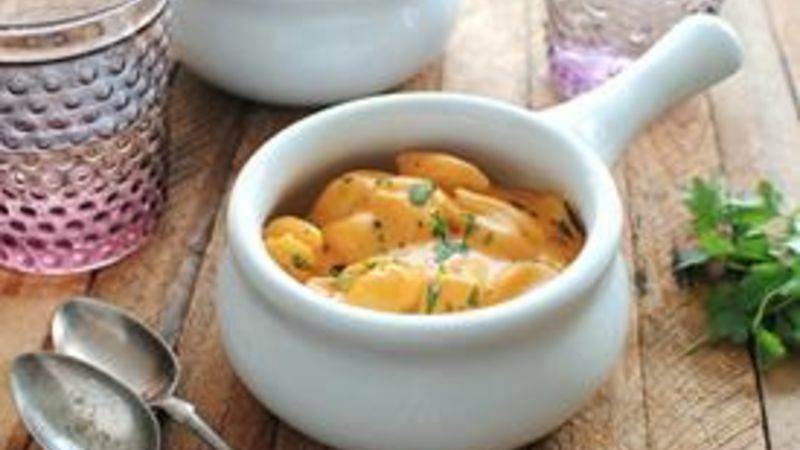 Would you just look at this Mexi Mac 'N Cheese. I mean would you just look at it. 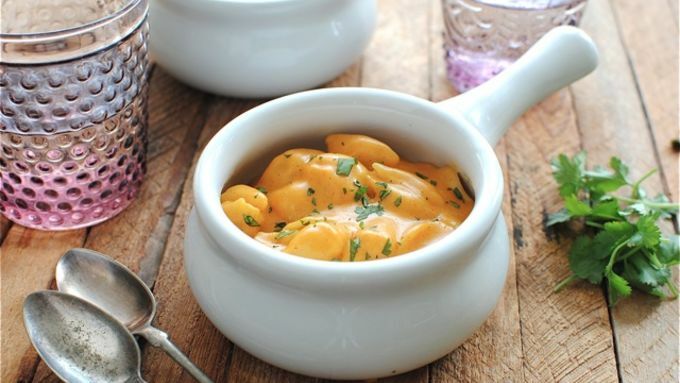 You almost can't even see the dang shells in it because of all the melty creamy frickin' cheese. This is what heaven looks like to the naked eye. Shall we? 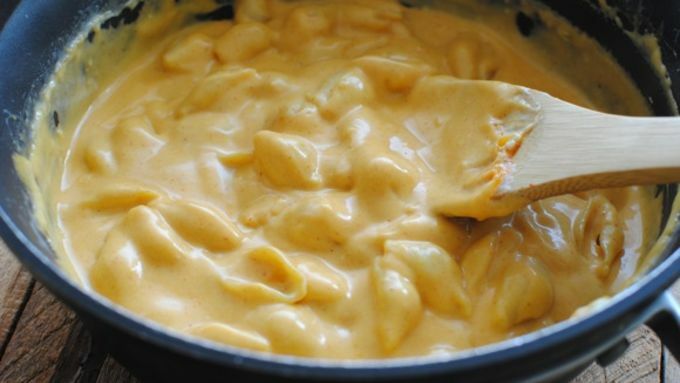 Grab some macaroni shells, some milk, butter, cheese, and your secret ingredient, some Old El Paso taco seasoning. SECREEEETS. Garnish with freshly chopped cilantro and gaze longingly into its eyes. Well, for the .2 seconds before slamming into your face. Just keepin' it real.